Fern athyrium 'Godzilla'. A unique hybrid of Japanese Painted Fern x Lady Fern. 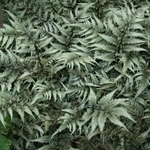 It forms a massive, arching clump of silvery fronds with green highlights and dark purple stems. Like the Lady Fern, 'Godzilla' spreads slowly where it is happiest in moist, loamy soils. 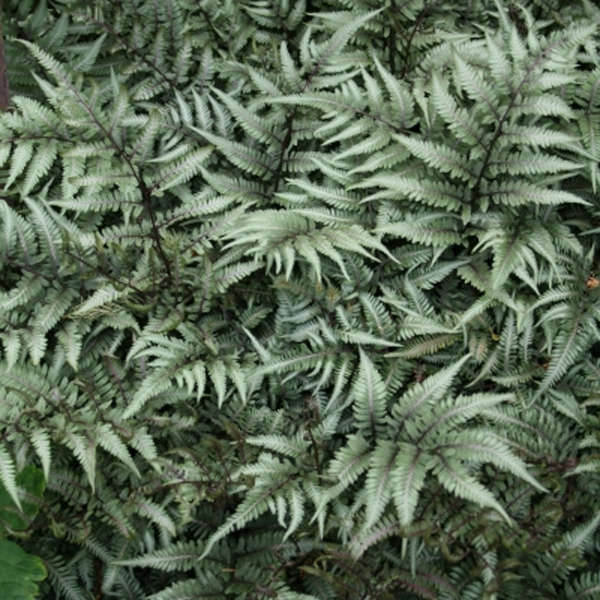 Grow this fern as a low maintenance filler in shady borders combined with large hostas. Photo courtesy: Walter's Gardens.